Carina Rock lives in San Diego where as a Rebbetzin she works hard to build Jewish community. In addition, Carina has a Masters in Jewish Education and a Bachelors in Fine Arts. As an artist, Carina's favorite media are painting, digital art and video. Pioneering projects to make outdoor Jewish educational, interactive learning spaces, Carina is dedicated to progressive and creative education that allows children to learn at their own pace in an engaging and relevant manner. 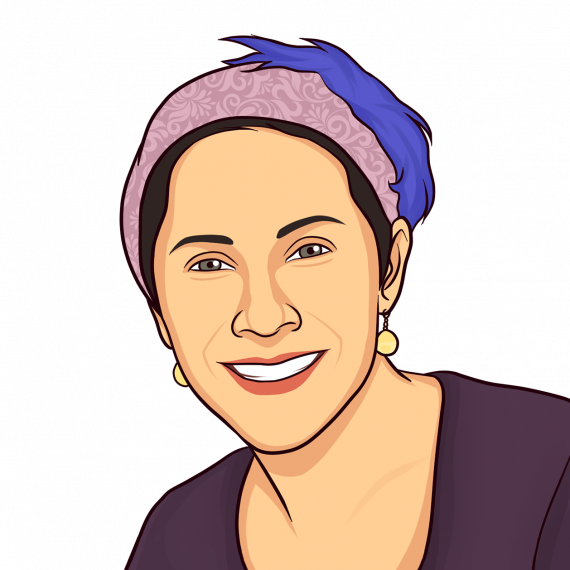 Having experience in informal, environmental and formal Jewish education, her style of teaching and training reflects her wide range or interests and experience. As a part of the JI North American team, Carina is involved with providing support for teachers and schools by working intimately with them to ensure that the Jewish Interactive experience is a success, ultimately creating an exciting learning environment that teaches design thinking and paves the way to the future of Jewish education.